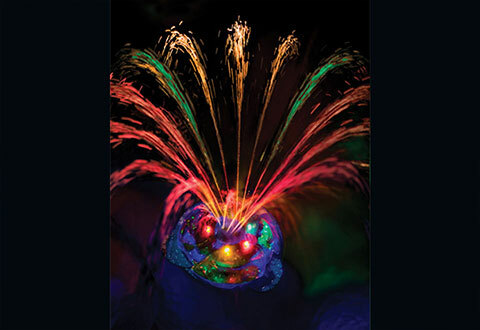 The Rechargeable Pool Fountain with Light Show reflects vivid colors that can enhance any pool. 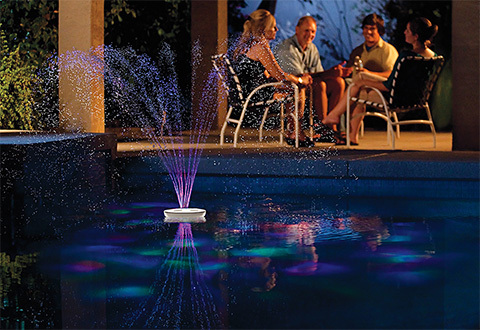 The pool floor is illuminated while water gracefully projects out of the unit as it floats above the water. 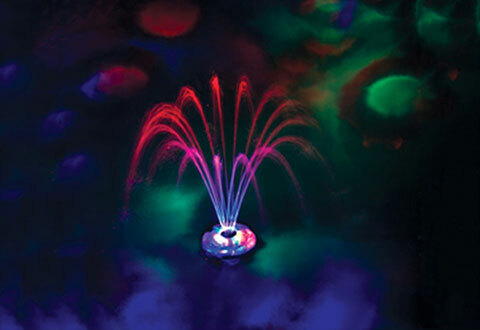 Projects light and color onto the bottom and sides of the pool while shooting color lit water into the air. 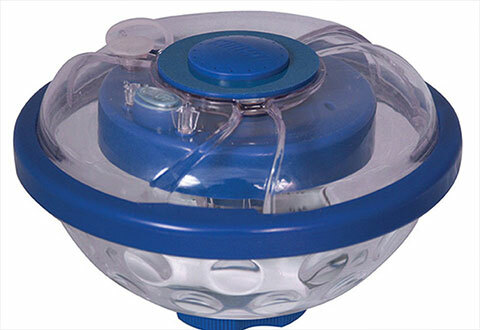 The lighting coverage ranges from 10 to 15 feet. 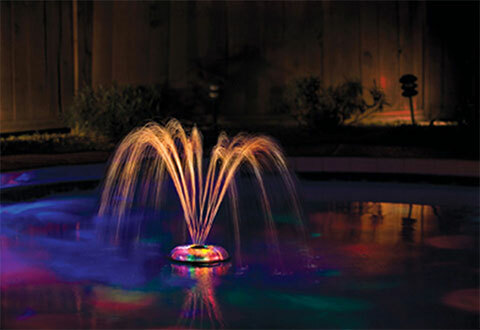 Put a fabulous lighted fountain, right in your pool! The Rechargeable Pool Fountain with Light Show turns any pool into a focal point of your next party.